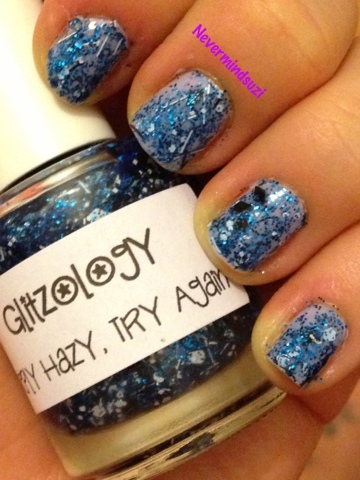 I've got another glitter today from one of my favourite Etsy/Indie sellers Glitzology. 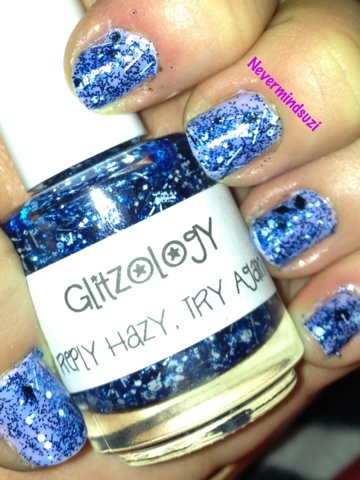 Reply Hazy, Try Again is a clear base full of sapphire blue glitters, as well as black and white bar glitters and hexes. I layered 1 coat of this over China Glaze Sweet Hook, for a bit of a different look. 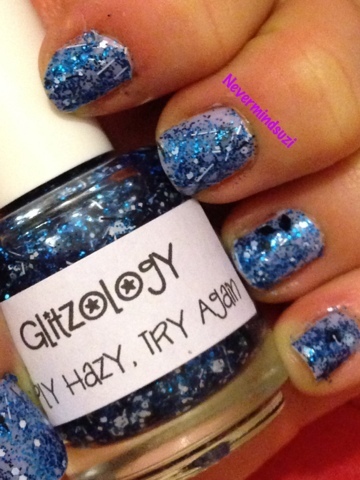 I love blue and I love glitter but this is exactly what I'd been looking with the black and white through it.